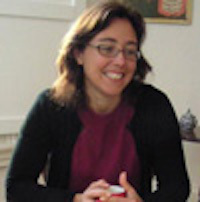 Experienced tutor having worked for Adult Education, the National Park, the Derwent Pencil Museum and Tullie House. 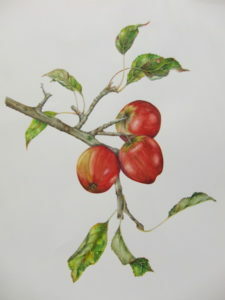 Qualified teacher from N. Cumbria with a diploma in Botanical art from the Society of Botanical Artists. 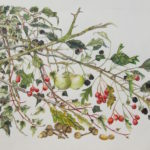 Interested, as many botanical artists are, in working with the seasons – mushrooms, buds, leaves (both hanging and fallen) etc. 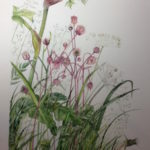 Lis is a local Botanical artist who works on coloured pencil and watercolours and develops paintings from outside. It involves going for a (short) walk and photographing the plants that appeal and taking pencils to capture the chorus and do short sketches. These may be on the doorstep, by the road, on the edge of fields and ‘lonnins’ close by (we have plenty round here!). These are then developed into a work. Lis particularly is keen to help those who are “afraid” and think they are no good to develop confidence. 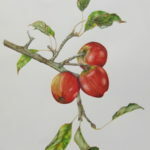 She has a proven teaching background which can help her encourage even the most nervous of students in developing the right skills in botanical art using both pencils and watercolours. Lis’s short courses are designed to offer an open alternative to more specialist and longer offerings from Susan Christopher Coulson, Janie Pirie and Marion Wilson.